Frightening to realize illegal camp fires are being made while we are in our fourth week of the Soberanes Fire. The photos clearly illustrate we need more toilet facilities. You might think this. But you’d be wrong. Tourists are still lighting fires along the coast on a nightly basis. Many, in places that directly threaten homes and portions of the backcountry (like the Silver Peak Wilderness) the current fire is expected to spare. 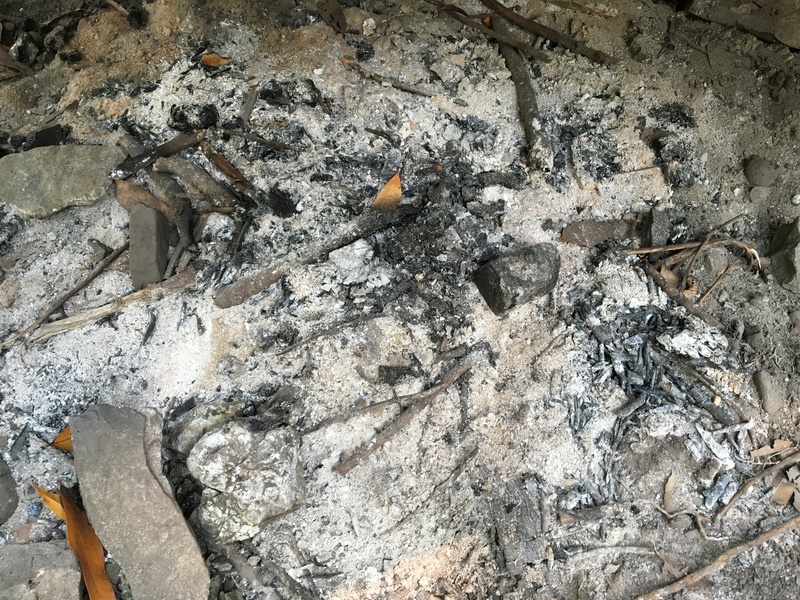 Here, for example, lie the remains of a very recent campfire at Salmon Creek. Remember Salmon Creek?